Welcome back! Continuing on from last week’s article, Part I: Tips for Hiring a Controller for a Small Business. Now, let’s examine different scenarios when hiring a Controller: first for a company without a CFO, and then, for companies that have a CFO in place. If your company does not have a CFO, the first and obvious question I would ask is “Why not?” Who has historically been responsible for high-level financial duties within the company? And with regard to the Controller position you will be hiring for, I would have the following question: Will the Controller responsibilities be limited to traditional Accounting duties, such as managing month-end close, preparation of Financial Statements, Cash management, overseeing the General Ledger accounting, as well as transactional accounting functions such as Payables and Receivables? Or, will this person also handle other financial duties such as Budgeting, Forecasting, Analysis, etc.? No matter which answer you choose, do make sure that this is clear in the job description, in order to attract the appropriate pool of candidates and save both parties the time and effort exhausted during an interview process. If you don’t have a CFO, and your Controller will be responsible for FP&A functions (in addition to Accounting), here are a few useful tips to consider: First, beware of Controllers that have previously worked for larger companies, since many larger organizations have dedicated Financial Planning & Analysis functions, resulting in the Controller function receiving limited exposure and hands-on experience to some of these corporate Finance areas. Title Question: If your new Controller will indeed be a key player in leading FP&A for the company, should you consider a different and perhaps more appropriate job title, such as Finance Director, Vice President of Finance, VP of Accounting & Finance? This may allow for a stronger pool of qualified candidates, particularly those who have previously held Director or VP titles (and prefer to maintain their professional “level of distinction”). On the same note, this could also be your chance to hire with a growth trajectory in mind for this position, creating an enticing opportunity for potential advancement in future title, responsibilities, and compensation to the chosen candidate. Simply put, by offering the ability for someone to promote to a Director or VP of Finance title after proving themselves in the initial Controller role, this creates a higher level of excitement and engagement for your new employee which will only serve as a performance enhancer and motivator. A relevant example that comes to mind is related to a Controller placement we made with a private service company last year. The company needed to hire a Controller, and the CEO was essentially serving as the CFO, putting together forecasts and models whenever he felt the need (and had the time). The previous Controller had managed the budget, and there was virtually no regular financial analysis performed. I found this last item to be not only strange, but even dangerous, given the company’s size and structure – around 150 employees, $40M in revenues, multiple locations. 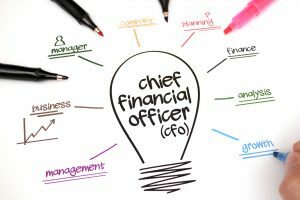 The CEO actually agreed with me, and I was pleased to learn that he was ideally seeking a Controller who would take over the majority of Finance functions while also managing Accounting. However, he had a limited budget for the new Controller’s salary, and he knew that he wouldn’t be able to afford a true Director or VP of Finance. We came to the conclusion that he should try to hire an up-and-coming Controller who also possessed exposure to corporate Finance — a CPA with a solid mix of experience closing the books, preparing financial statements, managing a small team, and creating financial models, budgets, etc… ideally, someone whom he could promote into a Director of Finance & Accounting title after a year or two (assuming this person came in and proved themselves while adding value). Luckily, we identified the perfect candidate for the role, and the company hired her. The candidate has loved her new job because of the gradual and consistent increase in responsibility, and she also received a promotion to Director-level (along with a generous raise) on her one year anniversary with the company. Success! Once again, if you are only hiring a Controller to manage the Accounting function, please evaluate your company’s current and future needs on the Finance side. Who currently creates and manages the budget? How much financial analysis is needed within the different areas of your business? What about Cash forecasting? Do you, as the Owner/President/CEO or potentially a Board Member handle these duties, and if so, how effectively are these functions being performed? Do you utilize an external Finance Consultant? Do you actually need a CFO? These are all crucial questions to answer before setting the job structure for your new Controller. If you have a CFO, it makes the Controller hire much clearer and more straightforward in many ways. In our next section of Tips for Hiring a Controller for a Small Business, we will get down to the nuts-and-bolts of hiring based on both technical skill set, soft skills, and overall fit. Also, I’ll touch on our experiences with various interview processes. Please stay tuned for the conclusion of this article next time!